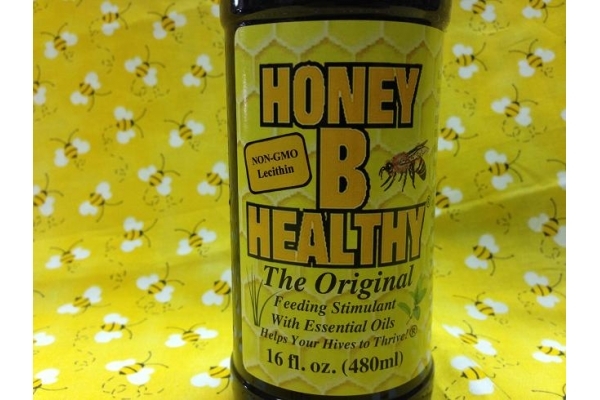 Honey B Healthy is a feeding stimulant with essential oils. 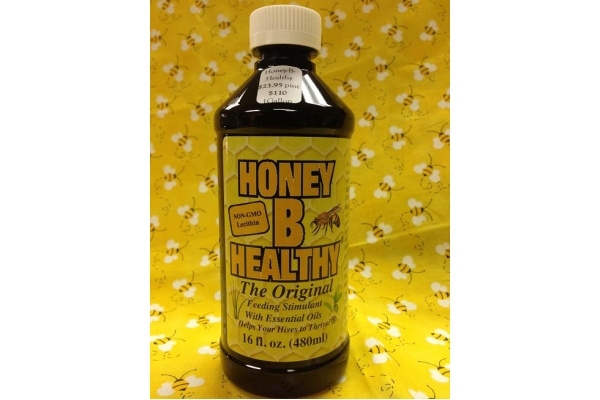 Use this product as a feeding stimulant or drench during early spring, fall, or dearths of nectar. 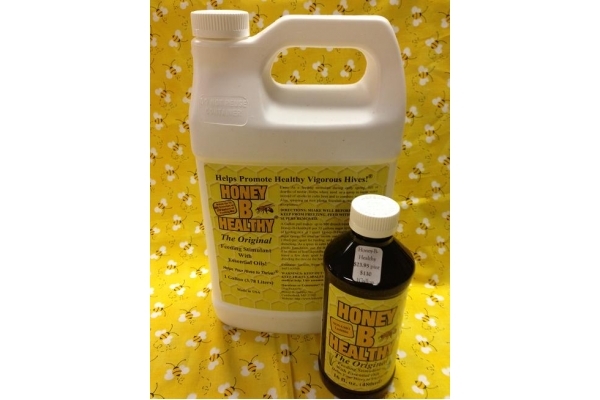 It helps when used as a spray in sugar water instead of smoke to calm bees and to combine weak colonies. Also, spraying on new palstic foundation helps encourage acceptance. Directions: Mix or shake well before using. Keep from freezing. Feed with honey supers removed. Recommended Feeding: Mix 1t (5mL) Honey B Healthy per quart sugar syrup which can be increased to 2t (10mL) per quart for maximum efficiancy. 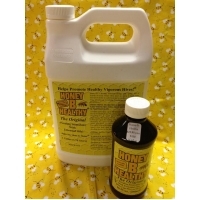 For a drench, spray to calm bees or entice bees to work plastic foundation: mix 4t (20mL) Honey B Healthy in a quart of 1:1 sugar water mix. For drenching, apply 8oz (more or less depending on the size of the colony) 3-4 times, 3-4 days apart to the brood area by spraying or drizzling the mix on the bees and between the brood frames. Mixes well in various sugar water mixes. Contains: Sucrose, Water, Spearmint Oil, Lemongrass Oil, and Lecithin. *Please select the quantity you would like to purchase using the "Available Options" drop box.